6 assorted gnome figurines for use in gnome garden starter accessory kit. 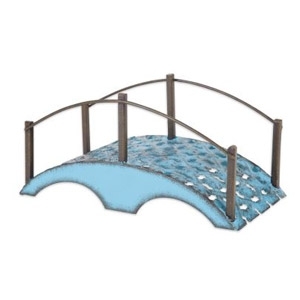 This blue metal bridge designed by Genevieve Gail features features all-weather paint and a unique distressed finish. 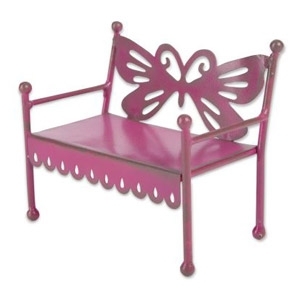 This colorful, mini 4" bench designed by Genevieve Gail features all-weather paint and a unique distressed finish. 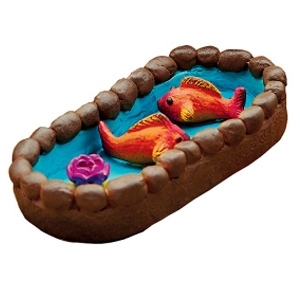 This mini Koi Pond designed by Genevieve Gail features all-weather paint and a unique distressed finish. It is also sold as part of our Happy Life Kit. Talk about your perfect stocking stuffer! 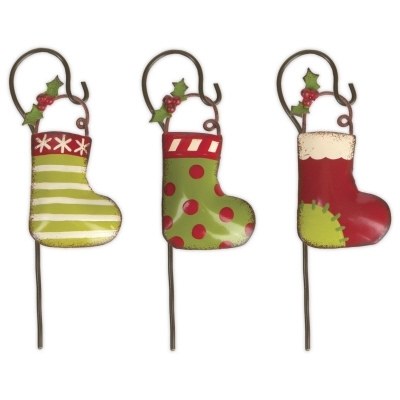 This set of three assorted stockings designed by Genevieve Gail features all-weather paint and domed metal construction. 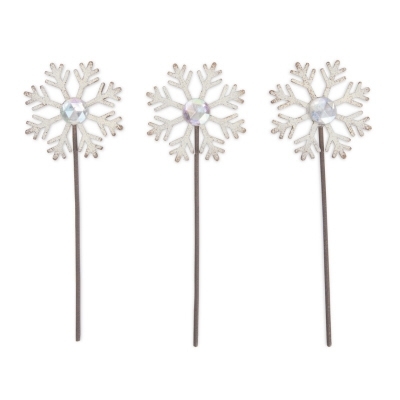 This set of three snowflake picks featuring all-weather paint were designed by Genevieve Gail. 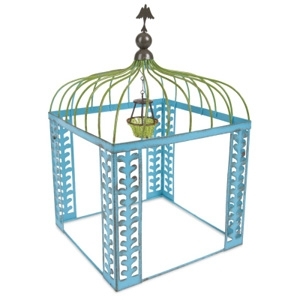 Decorate your home or landscape by stopping by Bob's Garden Center for these cute products! 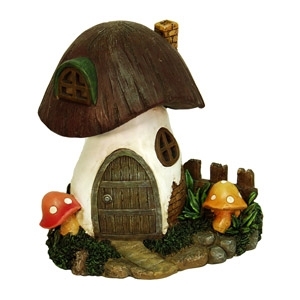 When the colder months arrive, provide your gnomes and fairies with a warm place to call home. Constructed from polystone. Concealed, singlecell solar panel absorbs sunlight by day and automatically turns on the amber LED window lights at night. Painted with weather-resistant acrylic paint to ensure durability. Can be used indoors or out. Measures: L 8 x W 6 x H 8 inches.